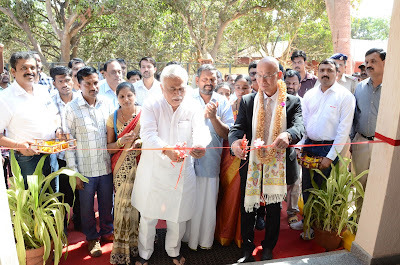 Toyota Kirloskar Motor (TKM) has announced the launch of Public sanitation facilities in North Karnataka at Haliyala and Joida, as a continuation to its active efforts towards “Swacch Bharat Campaign” The event marked the handover of two sanitation facilities to the local administration at Haliyala and Joida in North Karnataka. Under this project, TKM constructs seven public sanitation facilities across Haliyala, Dandeli, Joida and Ramnagara regions in the State of Karnataka, thus contributing towards upliftment of Sanitation facilities in rural Karnataka. Present at the occasion were dignitaries like R. V. Deshpande, Minister for Large and Medium Industries and Infrastructure Development - Government of Karnataka, Umesh Bolshetty, President Town - Municipal Corporation along with senior management of TKM including Akito Tachibana, Managing Director - Toyota Kirloskar Motor, Naveen Soni, Vice President - Toyota Kirloskar Motor and Rajender Hegde, General Manager, Toyota Kirloskar Motor. Open defecation is a serious social challenge in India. According to UNICEF Reports, one in 10 individuals’ practices open defecation, posing serious threat by making people susceptible to infectious diseases like Cholera, Typhoid, Hepatitis, Ascariasis and other Infections. Around 1,000 children below the age of five die every day in India from diarrhoea, hepatitis-causing pathogens and other sanitation-related diseases, according to the report of United Nations Children’s Fund. According to Unicef, only five of the 30 districts in the state have satisfactory access to toilets while another three are average in the usage programme. The rest are below the minimum stated standards of toilet access and usage.Toyota Kirloskar Motor has pledged its active support under “Swacch Bharat Abhiyan” by building toilets in Schools, household, public places and educating community to use the toilets and not defecate in open. Additionally TKM has also initiated Project ABCD (A Behavioral Change Demonstration) to create awareness on importance of basic hygiene. More than 30,000 school children and 1 lakh village population have been trained on sanitation through this program and motivated to construct household toilets. The sanitation units established by Toyota Kirloskar are located in 7 areas with 89 upscale toilets catering to public use including the physically challenged members of our society. Toyota has partnered with local government authority (Town Municipal Corporation) to construct, operate and maintain these sanitation units. 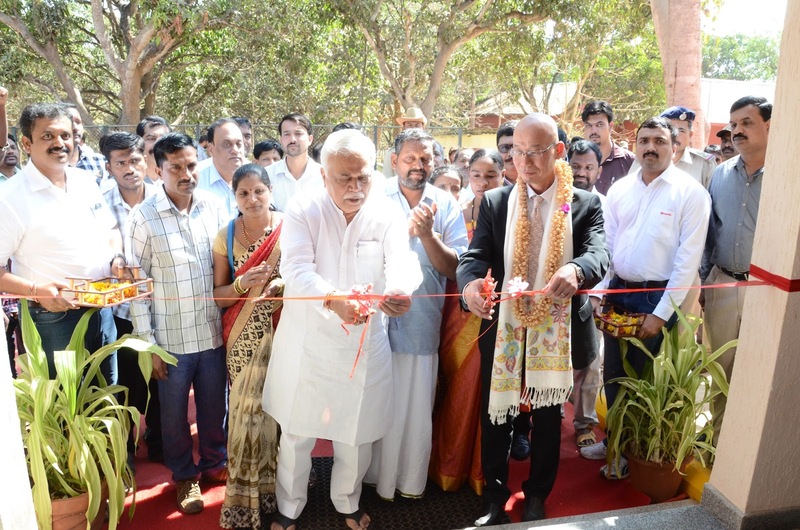 The Karnataka State Government has aided this project by providing land, water & power to these sanitation units. These complexes are manned by trained attendants and have separate enclosures for men and women with necessary sanitary kits. As a responsible citizen, Toyota Kirloskar has been contributing to the cause of education, health, hygiene, road safety, environment and skill development across the country. Till date, TKM has constructed more than 650 units of sanitation facilities in 206 government schools across India, of which 125 units are located in Varanasi, 426 units in Ramnagara district in Karnataka and 125 units in Vaishali in Bihar. In addition, TKM initiated the ABCD project with a focus on bringing in a behavioral change among school children. The project which mainly drives consciousness towards the use of toilets, begins from the grass root level by identifying gaps that exists in the sanitation facilities in rural Karnataka and tries to bridge the gap with a widespread awareness drive. Through unique children to parent approach the project has been able to create demand for household toilets through the children. More than 2300 household toilets constructed through this project. 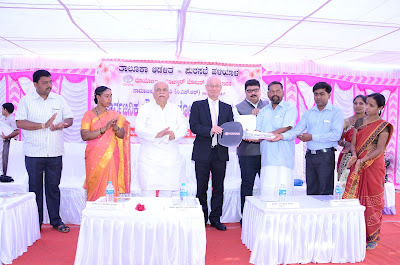 Toyota also installed incinerators (Napkin destroyers) in 15 government High schools in Ramanagara district. The project has also tremendously contributed in reduction of school hour missing cases (earlier condition- adult girl children used to go to their home for toilet usage and miss the classes (1-2 hours). Owing to the TKM’s girl child sanitation initiatives and ABCD project implementation school missing hours have reduced to zero. By the year 2016-17, TKM has set a target of 40 villages to become open defecation free in Karnataka and has been already successful in ensuring 100% sanitation in 32 villages in Karnataka.